Ian Haste created Haste’s Kitchen with a view of encouraging his audience to create healthy, nutritious meals for the whole family. Living by the 80/20 ethos ensures Ian portrays a realistic balance of both nutrition and health, along with the odd treat. 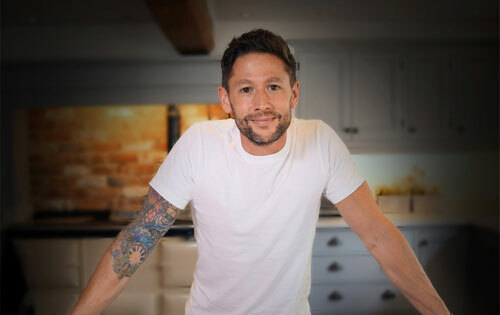 His simple methods of eating healthily and keeping fit are easily achievable for those with a busy lifestyle, making Haste’s Kitchen the go-to channel for everyone. Ian hails from a gastro pub background and spent his teenage years cooking in various Norfolk pubs, before earning his title as head chef at.. This gave him the relevant experience and food knowledge needed to create Haste’s Kitchen. In 2014, Ian began his YouTube career after noticing a gap in the market for simple, healthy and hearty recipes. Ian has worked with a multitude of brands, ranging from Aldi and Sainsbury’s to Zip and Morphy Richards, showcasing his presenting, cooking and interviewing skills. He has also provided recipes to many well-known publications such as The Telegraph and Feast magazine and regularly invites fellow chefs to collaborate on Haste’s Kitchen. Being a husband and father of two in a busy household, inspired Ian’s outlook for creating healthy, simplistic meals that suit every member of the family. By focusing on eating foods which are sustainable, organic and seasonal, Ian promotes one simple message; eat well, live well. In a career that has taken him from a hotel pot wash to a Michelin-starred kitchen and from his first restaurant opened with £200 in the bank to The Assembly House in Norwich, 2017 sees the 40th anniversary of his very first day in a professional kitchen. 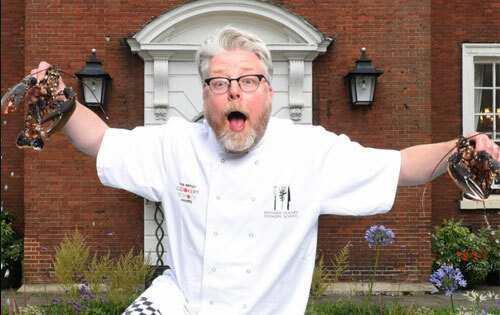 Beginning his career in the kitchen as a 15-year old at The Imperial Hotel in Great Yarmouth, Richard opened his first restaurant – Number 24 in Wymondham – in 1991. During his 11 years in Wymondham he also taught at the Hotel School at Norwich City College and began his popular, and still running, Step by Step column in EDP Norfolk Magazine. With numerous awards and accolades to his name Richard is still as passionate, enthusiastic and dedicated as ever (the comments from students speak volumes!) and Richard continues to inspire a host of cooks, both professionally and in home kitchens.